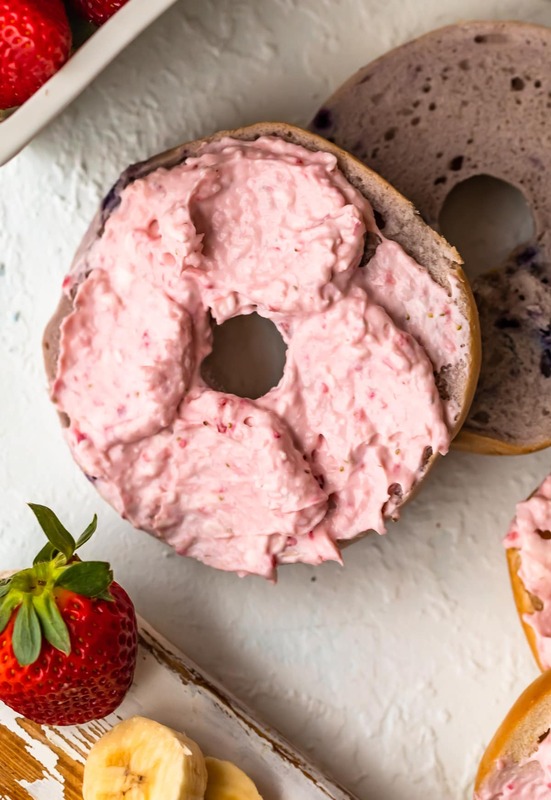 Banana Strawberry Cream Cheese is the perfect way to add some fun to the typical bagel with cream cheese breakfast. This semi homemade cream cheese spread is so easy to make, and it adds to much flavor. Find out how to make this easy cream cheese recipe to add to your morning bagels! 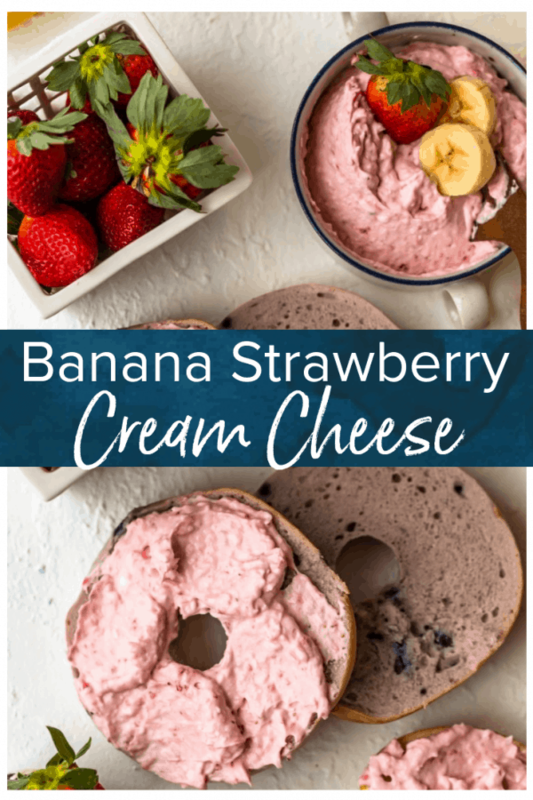 This banana strawberry cream cheese recipe is the easiest thing you can do for a more flavorful breakfast! There’s nothing quite like a simple bagel with cream cheese for breakfast. 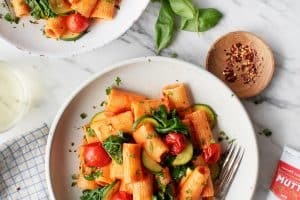 It’s easy, it’s quick, and it’s delicious! 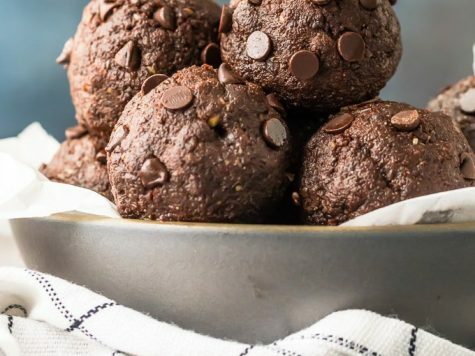 Most mornings don’t leave time for anything fancy, but this is something you can easily eat every morning. To make the basic bagel and cream cheese combination a little more fun, why not make your own cream cheese spread? Plain cream cheese is great, but sometimes different cream cheese flavors can really amp up your mornings. This Banana Strawberry Cream Cheese recipe is just perfect for a little extra fun. 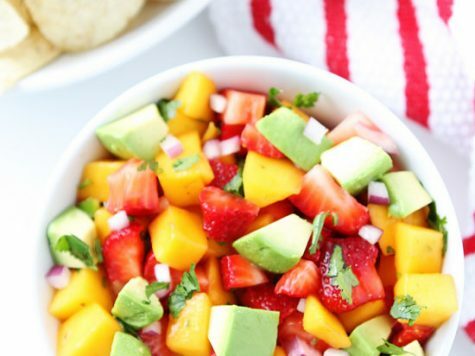 It’s fruity, simple, and super tasty! This homemade cream cheese spread (okay, semi-homemade) is basically a cream cheese hack. 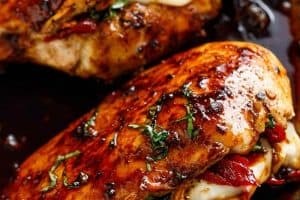 Add some more flavor into the store-bought version in just a couple of minutes. Truly an easy cream cheese recipe that you can whip up in no time! 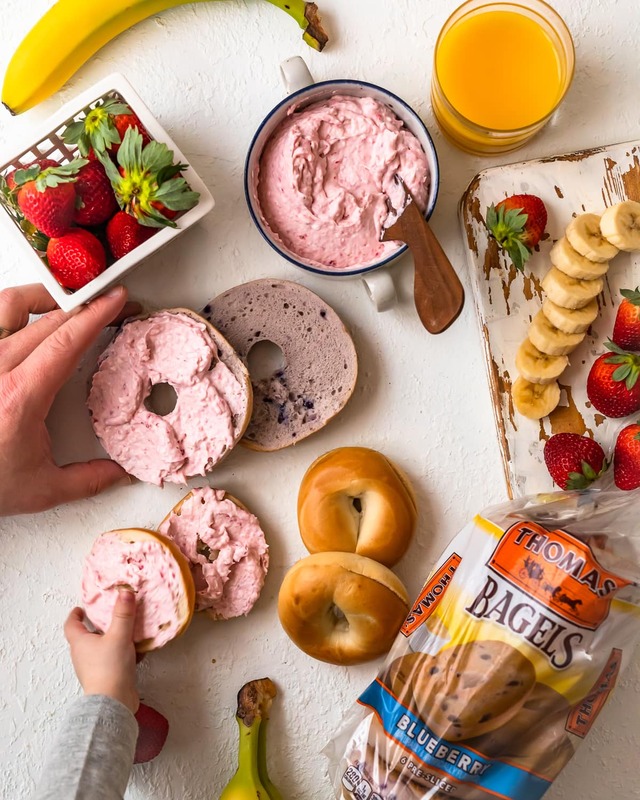 Make every morning extra tasty with this Banana Strawberry Cream Cheese Spread. Taking the bagel and cream cheese to a new level! This semi homemade cream cheese spread is the easiest thing to make. 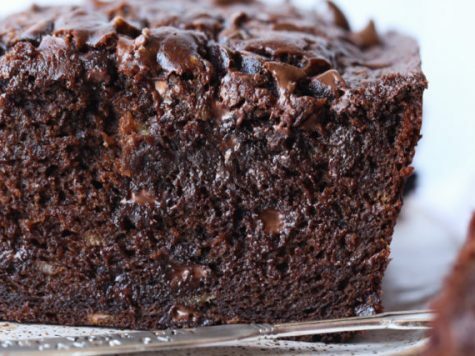 Start with store-bought cream cheese, then just blend in a couple other ingredients. Talk about an EASY cream cheese recipe! 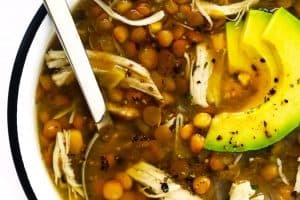 You can make a batch of it and use it every day throughout the week. This banana strawberry cream cheese is my favorite flavor. 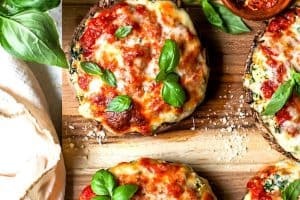 It makes the perfect bagel and cream cheese combo! 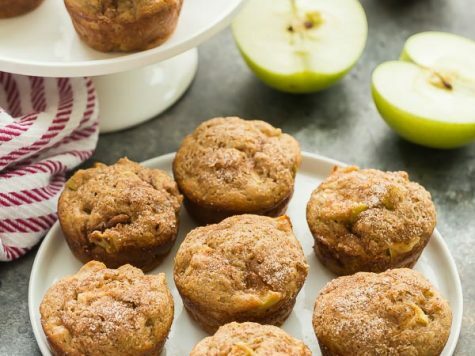 Best part is, the WHOLE family will love this sweet spread for an easy breakfast. 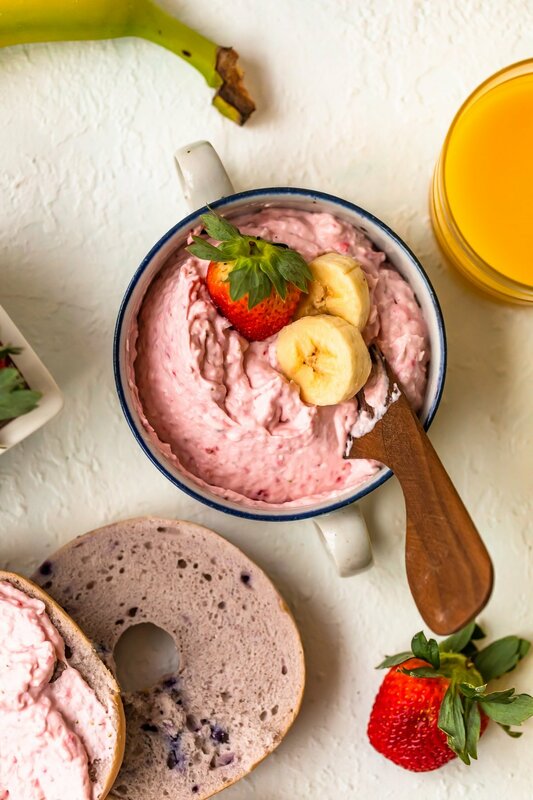 This banana strawberry cream cheese spread is beyond easy to make. 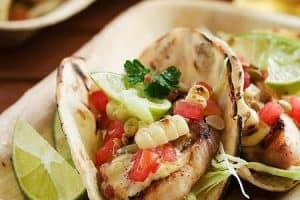 It’s more of a hack than a recipe, really, so all you need is four ingredients and essentially one simple step. 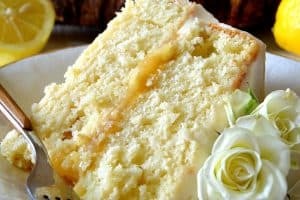 I love that you can just add a few extra ingredients into the mix with some store-bought cream cheese to create your own delicious cream cheese flavors. 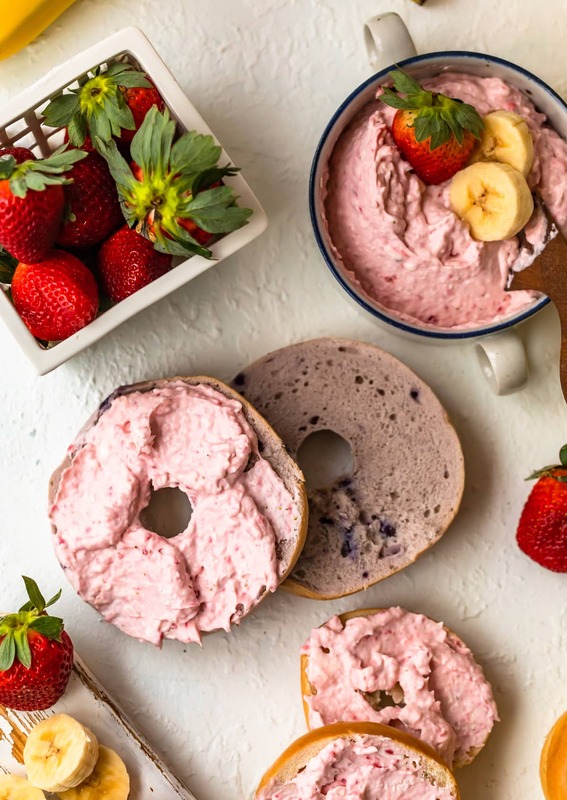 Strawberry Banana is the perfect fruity flavor to eat in the mornings with a bagel. All you have to do is blend the ingredients together into a smooth and creamy mix. That’s it! Everyone loves a bagel with cream cheese. 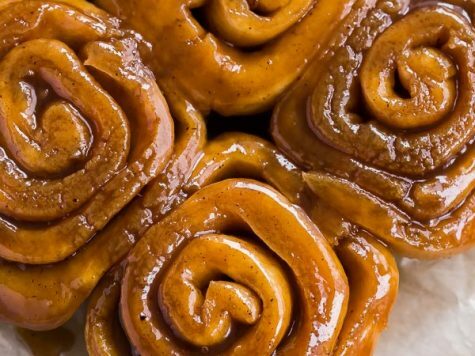 It’s a staple breakfast for a lot of us, especially those of us with busy mornings. Normally I’d say don’t mess with an already perfect combination, but when it comes to a bagel and cream cheese, mixing things up a bit is exactly what’s needed. Have fun with different cream cheese flavors and different bagel varieties. 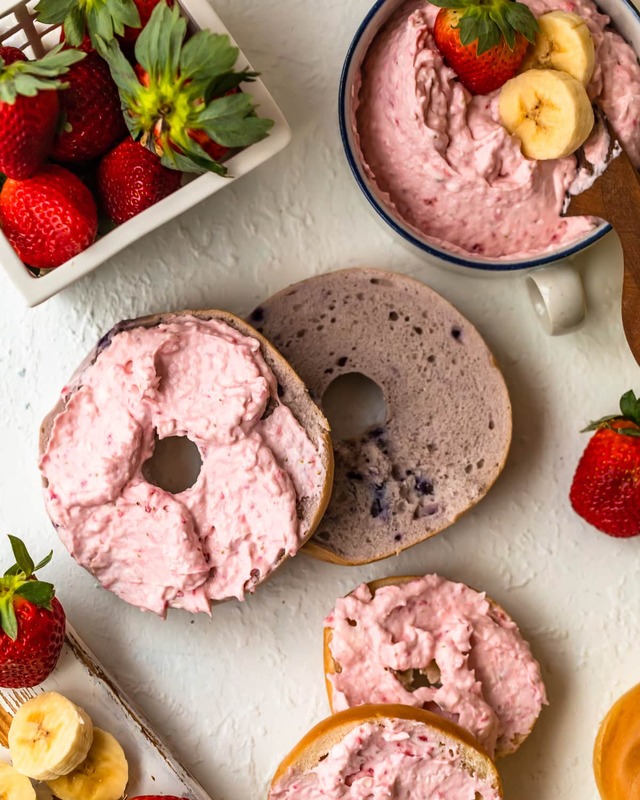 Why eat a plain bagel with plain cream cheese, when you could eat this banana and strawberry cream cheese spread instead? Pair it with a blueberry bagel for the ultimate fruity mix! 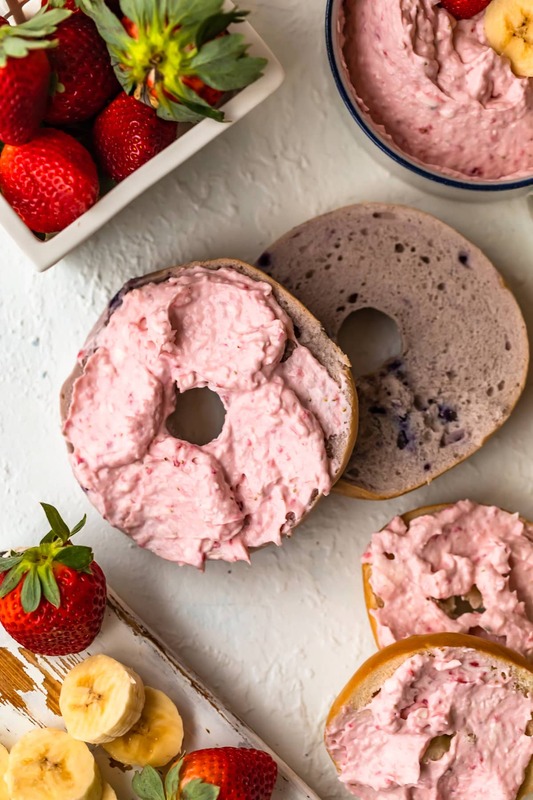 This easy cream cheese recipe is SO simple, and yet the flavor makes a huge difference in your typical bagel and cream cheese breakfast. 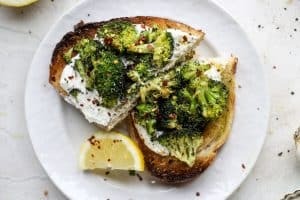 Call it a recipe, call it a hack, call it homemade or store-bought…it doesn’t matter to me, because this cream cheese spread is DELICIOUS either way. It will make your mornings a breeze! How many calories are in this cream cheese will depend on what type of cream cheese you buy to start out with. You can buy original (full fat) cream cheese, low-fat, whipped, whatever you like. 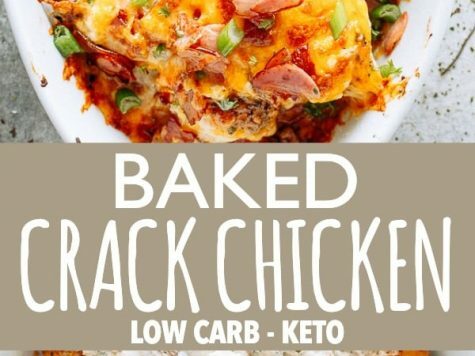 Once everything is blended together, this recipe ends up at about 100 calories per serving. 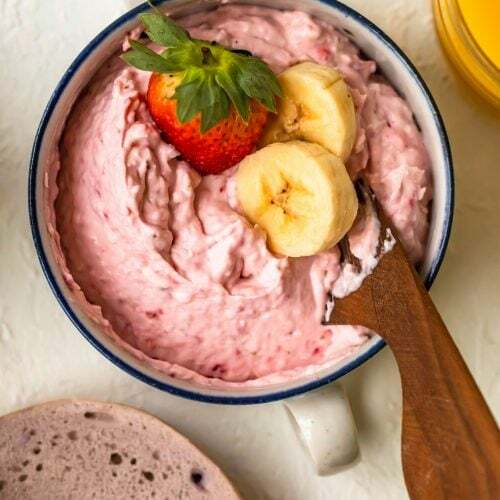 Once you make this banana strawberry cream cheese spread, store it in an airtight container and keep it in the refrigerator. Since it now contains fresh strawberries and bananas, I recommend keeping it for about 1 week. 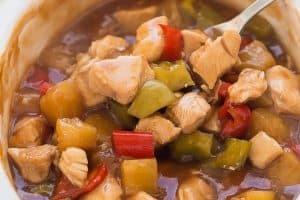 It won’t necessarily go bad straight after that, but the flavor, ingredients, and texture will hold best for up to 1 week in the fridge. 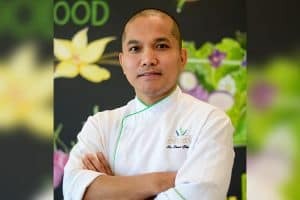 Can cream cheese be frozen? You can freeze cream cheese, but I wouldn’t recommend it, especially for this semi-homemade cream cheese spread. The texture will change after thawing, and the flavor just won’t be quite the same. 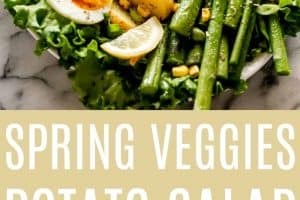 This recipe is best consumed fresh. 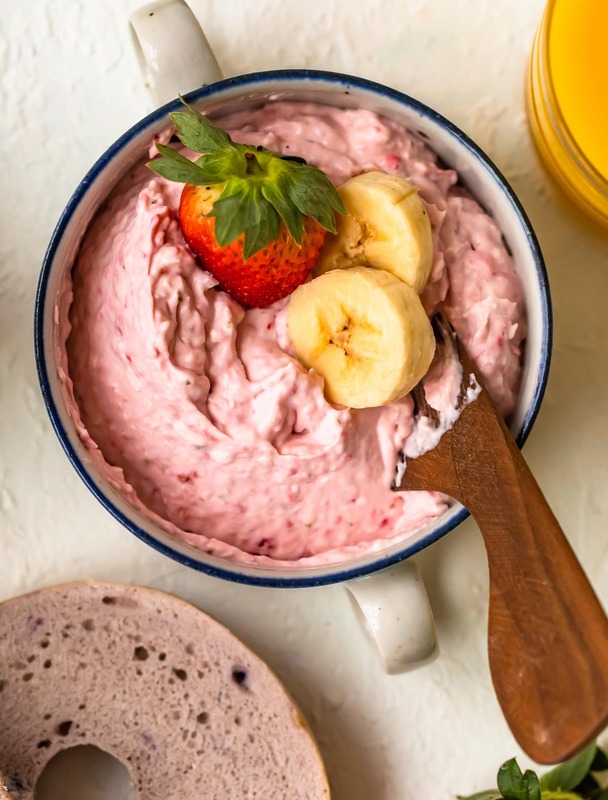 Make this tasty strawberry banana cream cheese spread ASAP to make your mornings more fun. You can never go wrong with a bagel with cream cheese for easy breakfasts! See the recipe card below for details on how to make Banana Strawberry Cream Cheese Spread. Enjoy! Spread over your favorite bagel or toast. Store in an airtight container in the fridge for 1 week. Enjoy!